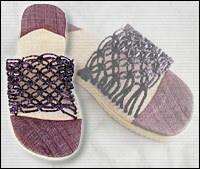 Put a native touch on your fashion with these top quality footwear from JUMBO Pacific Incorporated. 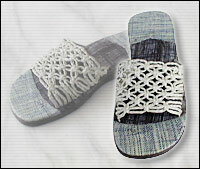 These sandals and slippers are made from all natural fiber like sinamay, jute, pandan and raffia, leather, some with shells and with extra durable rubber sole. Desc. 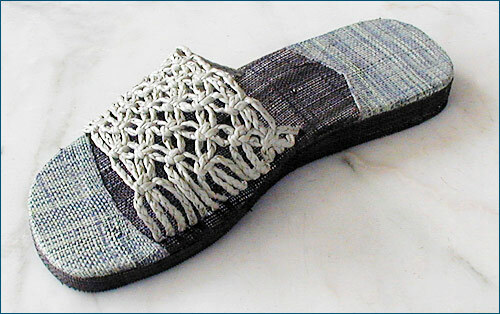 : Shade of blue color sinamay sandal with breaded strap. Desc. : Brown and natural color combination sinamay sandal with breaded strap. Desc. 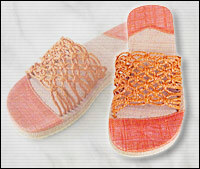 : Orange and natural color combination sinamay sandal with breaded strap. Desc. 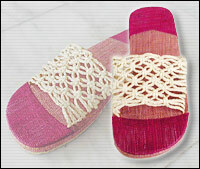 : Red and light red color combination sinamay sandal with breaded strap..